Here is a short Windows 8 tutorial about How To Enable Balloon Notification In Windows 8. Although, notifications are always helpful to access any application or folder quickly. However, there are people who do no want to get disturbed with these notifications. For those, I have a solution for this. You can easily disable balloon notification. We are going to use ‘Registry Editor’ to perform this action. Lets get started with Windows 8 tutorial below on how to enable balloon notification in Windows 8. Before that, also check out our post on How To Personalize Windows 8. Press ‘Win+R’ key combination to open the ‘Run’ box. Type gpedit.msc in the run box and click on ‘Ok’. 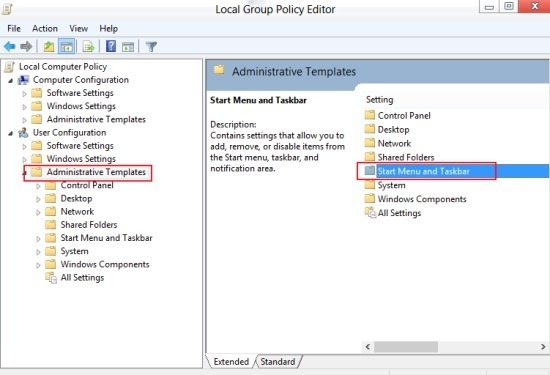 A new window named as ‘Local Group Policy Editor’ will open up. Dig down to: Administrative Templates ? Start Menu & Task. Under the ‘Start Menu & Task’ settings, search for ‘Turn Off all balloon notifications’ option. Once found, double-click on ‘Turn Off all balloon notifications’ option. This will open up a new window. 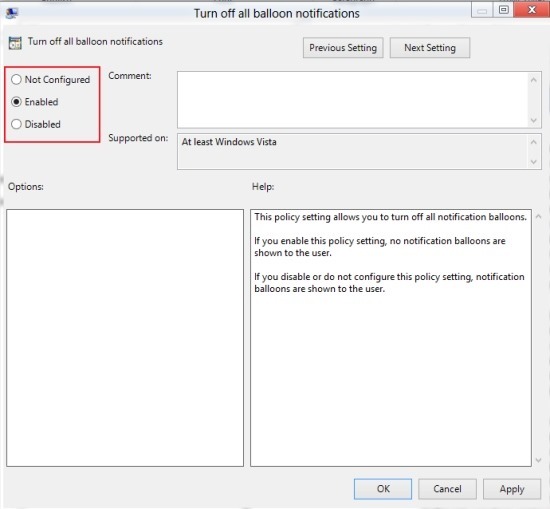 Now, switch the settings from Not Configured to Enabled if you do not want to get balloon notifications. Click on ‘Ok’ to save the settings. 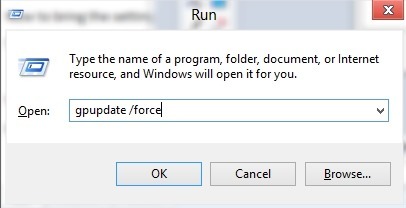 Now to bring the settings into action, you need to open the run box once again. 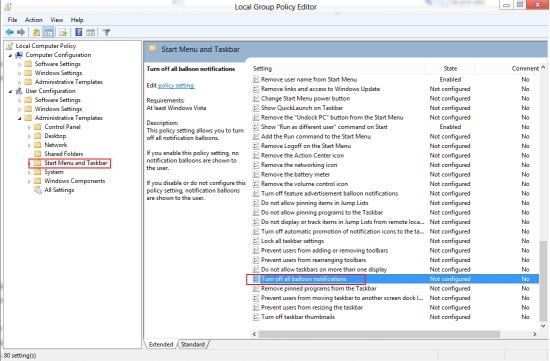 You are good to go..
Go ahead and follow the above give simple steps to enable balloon notifications in Windows 8 now.